The new Axis Direct Mobile App is quick, easy to use and extremely convenient! It ensures you stay on top of the markets, all the time. The new Axis Direct Mobile App lets you take advantage of the stock market ups & down from any place and at anytime. Designed to help you take advantage of the endless market opportunities, this app enables you to look up stocks instantly, add them to your watch list, track live rates and place quick trades. You can stay up‐to-date on your trade positions with live market information and take smarter decisions at all times. What’s more, through its integrated portfolio feature, you can also get a complete picture of your investments at your fingertips whenever you need it. Introducing the feature of online fund transfer from your linked Non-Axis Bank account! 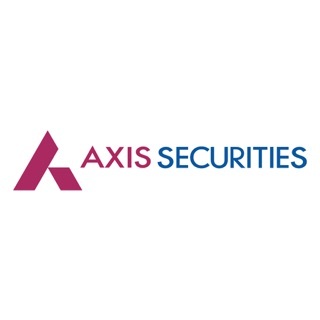 Funds transferred from these banks will be credited immediately to your AxisDirect account. You can utilize these funds for trading/Investment. Seems like the app doesn’t work at all. What the hell you Dev are working on.. I regret for opening account in axis.. going to close the account and not going to recommend to anyone. Most of the time the session gets expires and need to log in again and again which is a big mess.. it would be good if Touch ID is integrated with this app. Also data fetching takes more time.. need to optimise the app for better usage.. This app is very frustrating . No facilities to see company info within portfolio. Even we can not buy within portfolio screen . And in Demat also we are not getting info about company if we wish to see additional info about company. This is worst application from a reputed bank . I will not suggest to anyone in future. Also no assistance available when we are online. Executive is always busy. Now I am stuck up here and want to come out of this app and bank. Worst app ever I seen. Before also I was commented for same issue but still error is persisting. Many times message appear as your session has expired and login not possible . Once deleted the app and re download with registration only can login to account. IT team has to work hard to work axis direct app properly without any error to login customers.